Odysseus seeing land is like a child seeing his father return from the threshold of death. 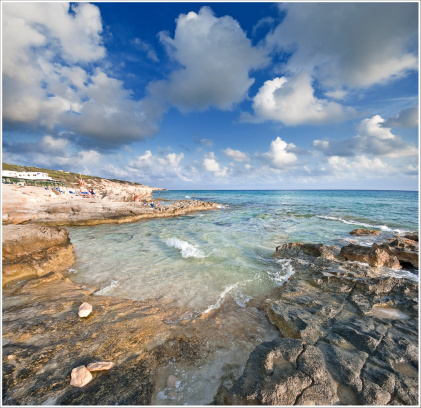 Our thoughts turn from the coastline of Scheria to Telemachus. Love for his son was the reason Odysseus feigned madness at the first mustering of the troops, and the reason he eventually had to give up the charade and go to war. Like the children of the epic simile, Telemachus, now a precocious twenty-year-old, doubts his father is alive and headed home. The simile places Odysseus in the position of Telemachus—despairing of his father’s life—and then in the position of Telemachus should Odysseus return—overjoyed that the man given up for dead has been restored and reunited with his family. For the moment, Odysseus sees the world through his son’s eyes. Or at least he greets the sight of land as he hopes his son will greet him. Odysseus becomes the ideal Telemachus. There’s a double analogy here. Odysseus is to cows-coming-home as his men are to calves that miss their mothers. And Odysseus is to his shipmates as Ithaca is to them. Here, at least, Odysseus is both mother and home to his men. He is the wanderer and the returner, but he also shares in the maternal attributes of Penelope, of Anticleia, and of the nameless mothers of his men. 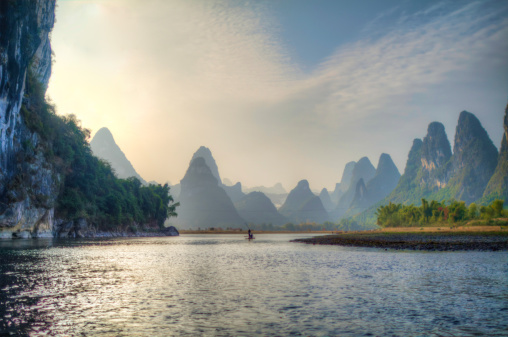 And even if he can offer his men only a poor substitute for the comforts of home, he is also Ithaca, and the rocky soil Odysseus spends ten years trying to reach is not itself without its king. 3. When Odysseus does return, his homecoming is not simple, immediate, and complete, but a series of revelations, recognitions, and restorations. The soldier’s footfall on native soil again is only a rudimentary kind of nostos. I don’t mean to belittle that climactic moment when Athena in her shepherd’s disguise tells Odysseus that this land… this rugged but fertile land… this blessed plot… right where he is, right now… is Ithaca. None of Odysseus’ men get to hear that speech and stand on that soil with him. But there are other homecomings yet to be achieved, and other journeys to be made. Some of these involve courageously honest excursions into the dark recesses of the mind; some require the difficult, creative, and uncelebrated work of finding new methods to preserve old relationships. The Ithaca that became an idealized symbol of home in the mind of the returning soldier is a lot less demanding than the Ithaca to which he returns. so the loyal swineherd hugged the beaming prince. Odysseus, the father and the wanderer, seeing his grown son for the first time in twenty years, is relegated to the position of onlooker, constrained by disguise from any peculiar show of emotion. Before his eyes, the swineherd assumes the role of father reunited with son, and the son assumes the role of returning traveler. Eumaeus is to Telemachus as father is to son. But in the simile and in the story, the long suffering belongs not to the youth who returns, but to the father who waits. 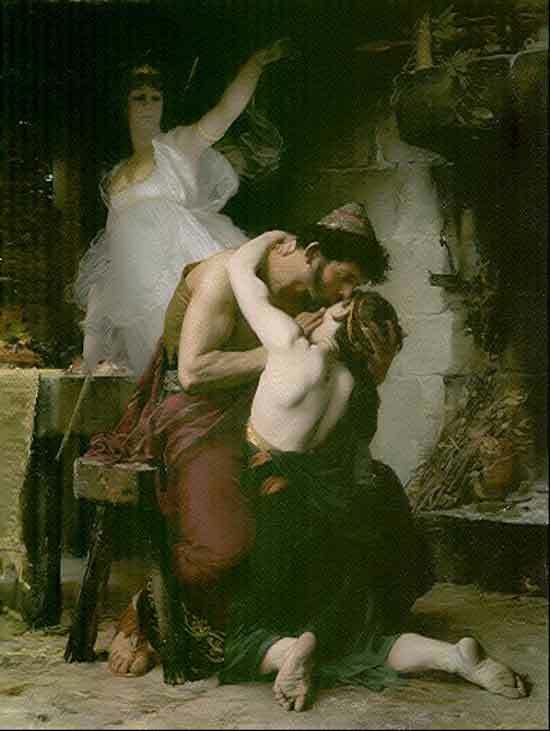 Odysseus is still there, on the perimeter and at the center of the simile, as he observes two loved ones perform the roles he must consider more properly his own. I imagine Odysseus must be relieved his son enjoys the affection of a noble and faithful servant, but not without the pangs that can come with having been replaced—however incompletely, however temporarily. 4. 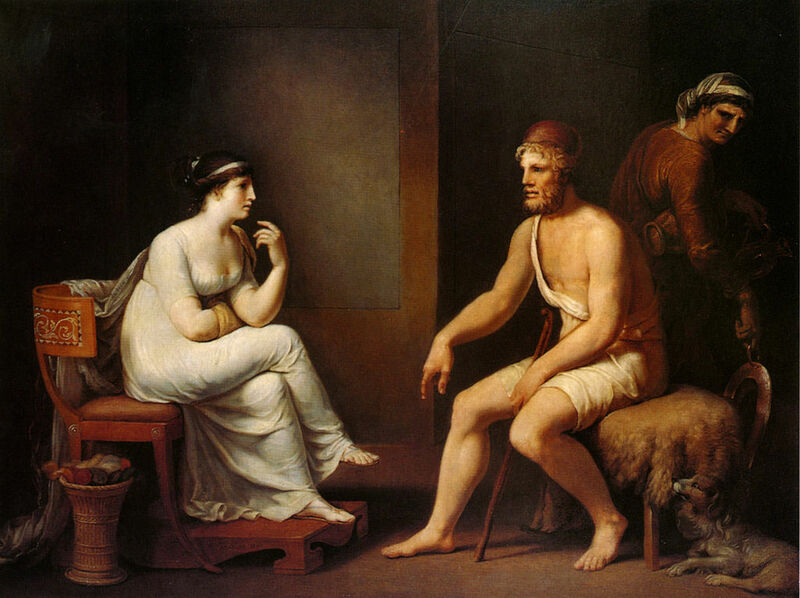 While Eumaeus has stepped up in Odysseus’ absence to serve as father to Telemachus, Penelope has tackled the responsibilities of keeping Ithaca open to Odysseus’ return. It’s no small task to be mindful of the past while addressing the needs of the present. For Penelope, this means playing coy, weaving and unweaving. Keeping Odysseus’ seat warm for him has required a lot of kinetic energy, and Odysseus seems to recognize this. “Your fame, believe me, has reached the vaulting skies. I can’t help but suspect that this is one of the many ways Odysseus would like us to see himself—as the stay-at-home king who rules wisely and well. There’s something of himself here, and something of Penelope, who has been a pillar of state in her husband’s absence. His highest praise for his wife is to compare her to an ideal king… to an ideal Odysseus who, wish fulfilled, never had to go to Troy in the first place. 5. But he does go to war, gaining glory from the experience. Time passes, people change. For Odysseus and Penelope, full recognition of each other and restoration of their bond doesn’t occur until the disguises are dropped, the suitors are slaughtered, the great hall has been purged with sulfur, and the king-size rooted bed, fashioned from the living trunk of an olive tree, has been validated as a true sign of their marriage. 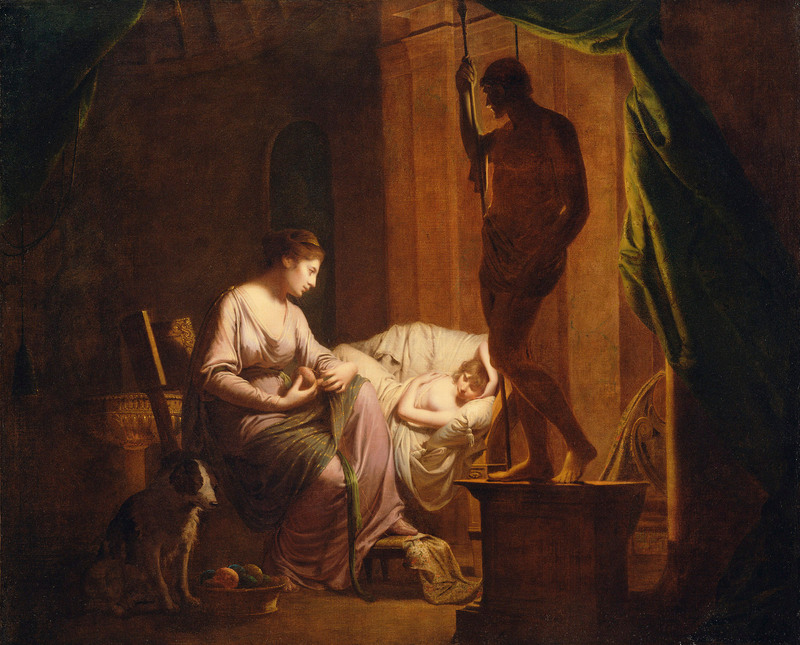 Odysseus calls the bed “our secret sign… our life story”; it’s a work of art and a labor of love (19.227). On that cue Penelope, circumspect, subject to years of impersonators offering lies about Odysseus in exchange for a warm bed and a meal, says she believes. he loved, the soul of loyalty, in his arms at last. The passage begins with Odysseus’ emotional response—he’s the one weeping—but in the epic simile, the joy of the shipwrecked sailor escaping death belongs to Penelope. Odysseus’ journey and escape is hers, too. The warm joys of The Odyssey are not the fuzzy kind. They’re sharp and unexpected, like splinters of hope. This is not just a tale of a lone hero who overcomes adversity and completes a journey, not just about survival and homecoming. It’s also about the pearls to be harvested from suffering. These include an awareness of the suffering of others and a connection to others through participation in suffering. Pain is an isolating, individual experience, but in The Odyssey such periods of isolation often serve (later on in the story, through memory) to strengthen the joys of community and communion. The shared and analogous experiences of the characters of The Odyssey are evident not only in the epic similes, but also in the characters’ own names and epithets. Calypso, who tries to hide Odysseus from the gods, is herself “hidden.” She reflects Odysseus’ hiddenness, too. 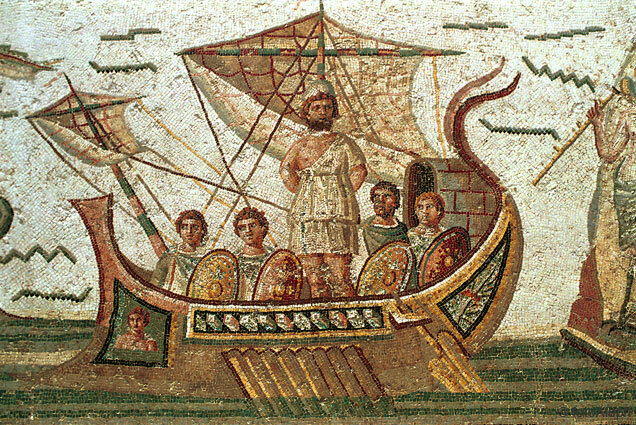 The episode with the Cyclops Polyphemus, “many-voiced, much spoken of,” contains the clearest examples of Odysseus’ own desire for fame, his tendency to jeopardize his homecoming for the sake of his reputation. Nausicaa, “ship burner,” is a helper-maiden whose crush on the hero can also be an obstacle to his homecoming. Telemachus is “he who battles afar”; he may be named for his father’s troubles (as Odysseus was for his grandfather’s), but the carrier of the name makes it his own. Telemachus has his own battles to fight. Like Odysseus, Penelope is polytropos, much-wandering, of twists and turns; a weft embracing and bending the warp of circumstance to make a fine woven cloth. Tennyson’s Ulysses states, with a measure of truth and arrogance, “I am a part of all I have met.” The characters he meets, including those he struggles against and those for whom he struggles, have also become a part of him. The story that memorializes Odysseus the fighter also memorializes Odysseus the poet. Encounters become episodes as suffering leads to storytelling. After the wild boar hunt, Odysseus has both an indelible, identifying scar, and a story straight from Mount Parnassus. After years of being heartsick on the open sea, driven off course time and time again, he has an eternal tale to share with others and to call his own—one of being crushed with salt, but buoyed up with joy. Dull would he be of soul who would claim no one else shares in his wanderings.